The Honda CRF1000L Africa Twin is a confidence-inspiring dirt machine, regardless of your ability or off-road experience. Its physical size makes it a breath of fresh air in the current 1200cc and above dominated adventure bike class; with the parallel-twin motor also making it seem both low and narrow. This, combined with the fuel tank ergonomics, means that when standing up the rider is able to get their weight forward over the front wheel while putting pressure through the footpegs to aid steering and grip – a vital asset when covering rough terrain. 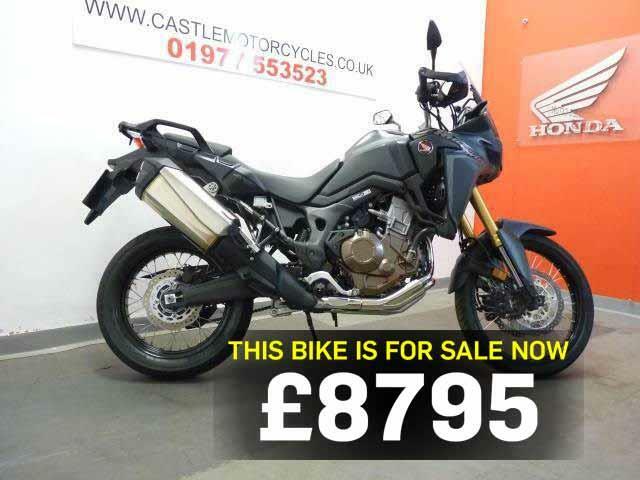 "This 2017 (17-plate) Honda CRF1000L Africa Twin comes as a West Yorkshire dealer sale in excellent condition. With just one owner from new, it has done 2892 miles and is available with a service and warranty." Find Honda Africa Twins for sale.